With extensive experience in the magazine sector, Gael’s writing has been published worldwide. A keen sailor her whole life, she has also worked as a specialist commentator on television and radio. Trained in journalism, design and creative writing, (BA (Hons) Creative Arts; MA Journalism) Gael has a widespread knowledge of the use of words and images to communicate effectively. Gael is particularly skilled at putting together strong teams to redesign or refresh publications and is consistently looking for continued improvements on any ongoing projects with which she is involved. 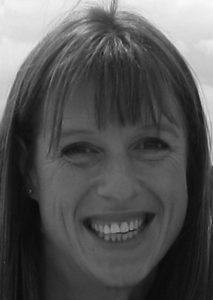 A keen sailor in her own right, in her spare time she can often be found dinghy sailing in Chichester Harbour, running, mountain biking, painting, working on her novel or baking cakes.